Yesterday, we wrote about an explosion incident that occurred with a Xiaomi device. 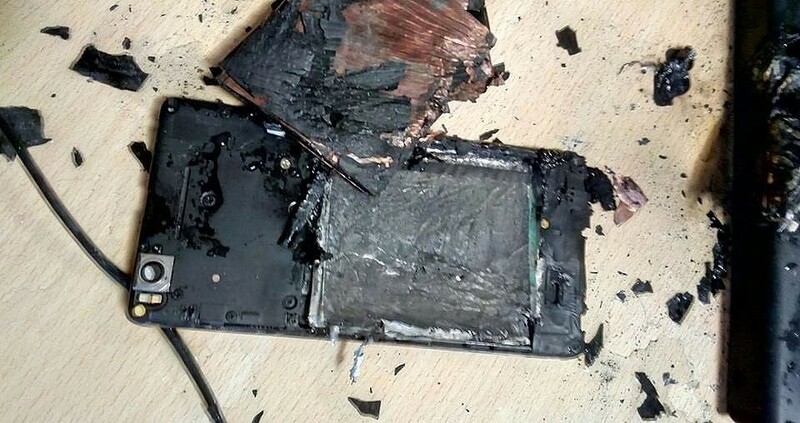 A seemingly normal office scenario quickly turned into one of panic and confusion as a Xiaomi Mi 4i burst into flames while its user was using it. While the scenario itself is rare when you consider the immense sales and popularity of mobile devices, it is a grave and serious incident nonetheless as someone could have borne physical injuries or burns. User safety is paramount when average consumer electronics are concerned, and in ordinary circumstances, they should not react as the phone reacted as per the CCTV footage of the incident. We take such matters seriously and we have already been investigating the matter. We have been in touch with the customer and will be getting his device this week to do further investigation. In the meantime, we have offered a replacement phone to the customer. Fault or no fault, it is good to see Xiaomi act in the greater good of the consumer. Offering a replacement phone while they are investigating the issue certainly wins brownie points from us. We hope that they find out the exact cause of the issue and work towards rectifying it, if it was on their end. We’d also like to take this opportunity to remind all our users that the devices that we often take for granted have the potential of causing harm if used incorrectly. Sub par chargers and cables are so commonplace around us, especially in India where it is far cheaper to grab a cable off the illegal hawker on the road than to buy a genuine pair from an authorized store. There’s a reason why phones and their accessories come with warnings, but most of us brush them aside without a second thought. Please exercise due care and precaution when handling electronics. And please, do not try to put out electrical fires with mineral water.